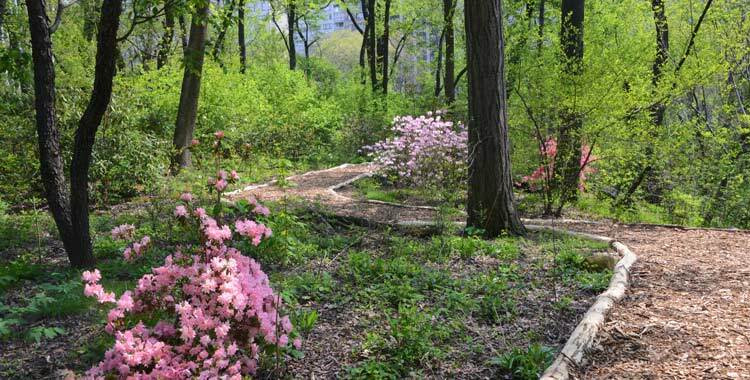 New York - A four-acre sanctuary in New York’s Central Park that’s been fenced off since the 1930s will open to the public this summer. The Hallett Nature Sanctuary is still fenced off but has a new rustic gate and pathways. The New York Times (http://nyti.ms/1UPhxIK ) reports that it will be open for several hours three days a week through June 30 and four days a week from July 1 to Aug. 31. The opening is part of the Central Park Conservancy’s woodlands initiative. Park workers have replaced invasive plants with native species. Originally called the Promontory, it was renamed Hallett Nature Sanctuary in 1986. Conservancy President Douglas Blonsky says it’s believed it was closed because Robert Moses wanted to turn it into a bird sanctuary. Moses became parks commissioner in 1934.